Encryption enables you to securely protect the content of your files from unwanted viewers and against unwanted actions like printing, selecting text, etc. Contains details for encrypting and access permissions for a document. Demonstrates how to set permissions on a PDF document generated by Sautinsoft.Document. // Let's create a simple inscription. You may find extra info about Document Properties. /// Create and secure a PDF document by password. Also set the permissions for the document. // Let's create a simple document. // Save a document as the PDF file with Security Options.
''' Create and secure a PDF document by password. Also set the permissions for the document. Dim filePath As String = "ProtectedDocument.pdf"
' Let's create a simple document.
' 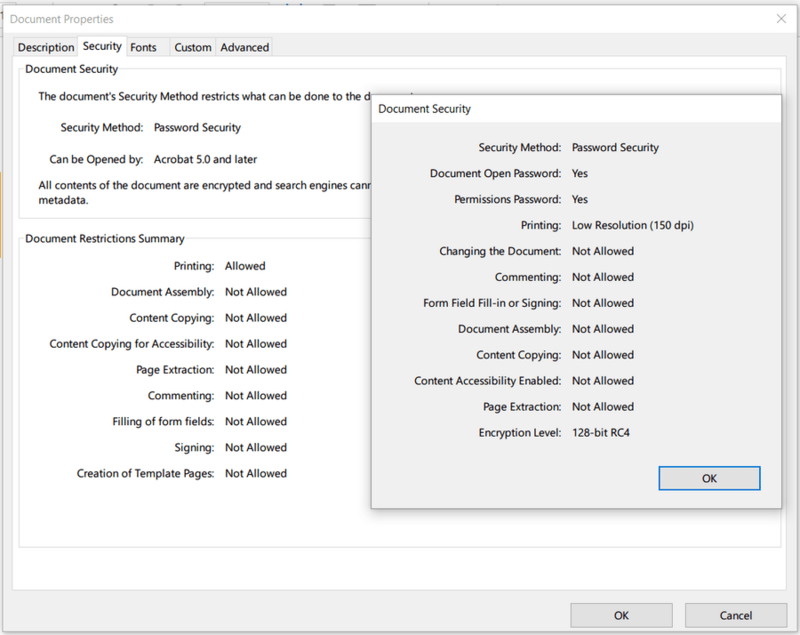 Save a document as the PDF file with Security Options.